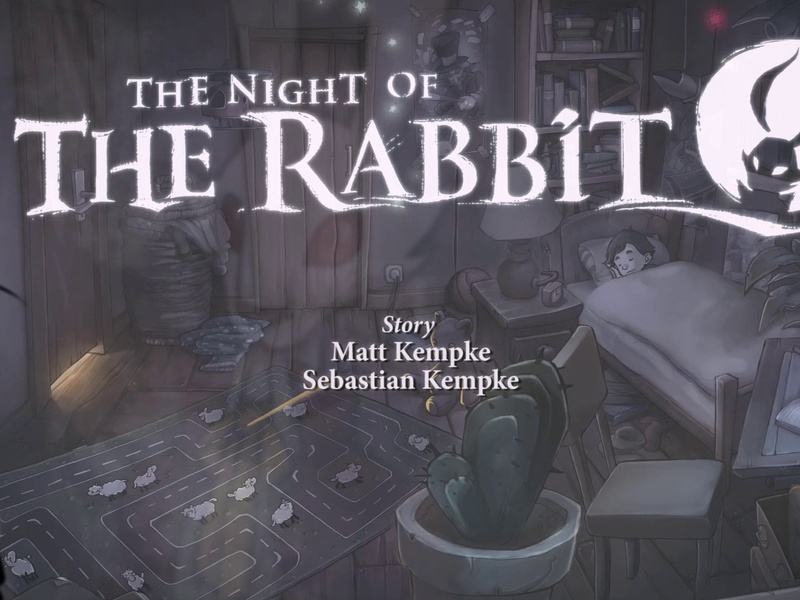 The Night of the Rabbit looks gorgeous, no doubt about it. 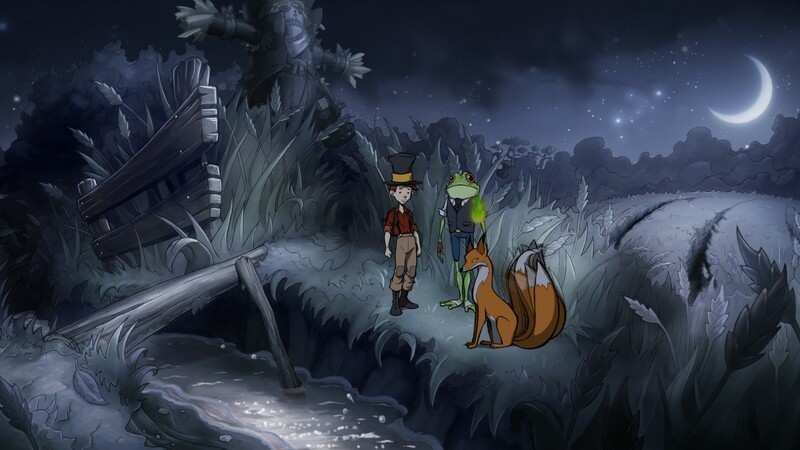 The characters have a limited but lively amount of cel-style animation to them, and the backgrounds are lovingly crafted landscape paintings. In screenshots it gives the game a high end animated motion picture feel to it. In motion it isn’t quite so polished, but we’ll go into that later. 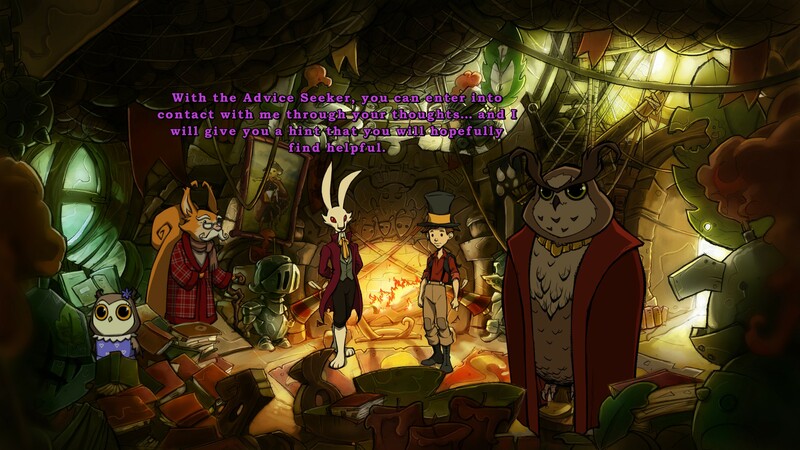 The bulk of the game takes place in an enchanting village of woodland creatures, and a lot of work has been done to give the characters personality and uniqueness. Anja, the owner and operator of the cafe, has the look of a 1950’s car-hop, complete with roller skates. Elsewhere you’ll get villainous lizards dressed as bizarre parodies of human trades. The environment is no less creative. Since we are dealing with a world of little critters, the tendency for every day object to be put to a new use in a much smaller scale reminded me a bit of Rescue Rangers (that and the talking rodents). I particularly liked the improvised radio station that is very clearly powered by AA batteries. 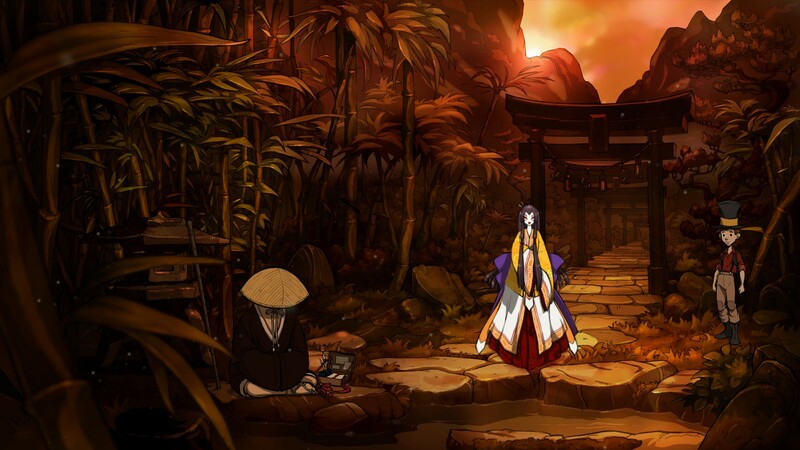 Later in the game you’ll get little glimpses of other worlds, including those inspired by Ireland and the far east. The visuals aren’t flawless, however. As you might imagine, there are many, many things you’ll need to do in order to solve the many puzzles of the game, and the animators have compressed most interactions into a handful of motions. Overall this works exceedingly well, but here and there you start to see the limitations of it. For one, a character is either speaking or performing an action. 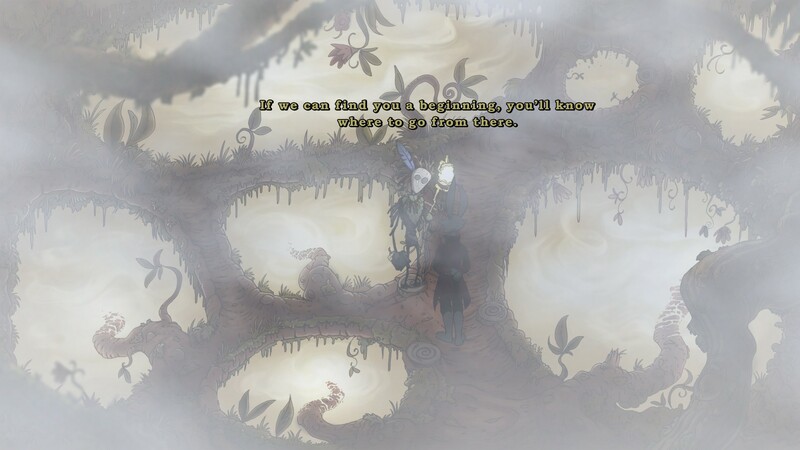 This leads to interruptions in the flow of the game when a character is in the middle of a monologue, then stops talking for a moment to cycles through an animation, then continues talking again. Rather than adding personality, it just makes the whole conversation seem disjointed. I'm having a hard time taking a wizard seriously when he wears socks with sandals. The gameplay was a bit hit or miss for me. On one hand, there were some really brilliant game design choices. My favorite was the magic coin you pick up fairly early on. It is a gold coin with a hole in it that (once enchanted) you can look through. Initially I thought this was just a tool I’d be using fairly frequently to solve puzzles. While you certainly do use it in that way, it struck me as odd that they assigned both the space bar and the middle mouse button to the item. Then I pressed one of those buttons, when in a random part of the game, and suddenly I understood. 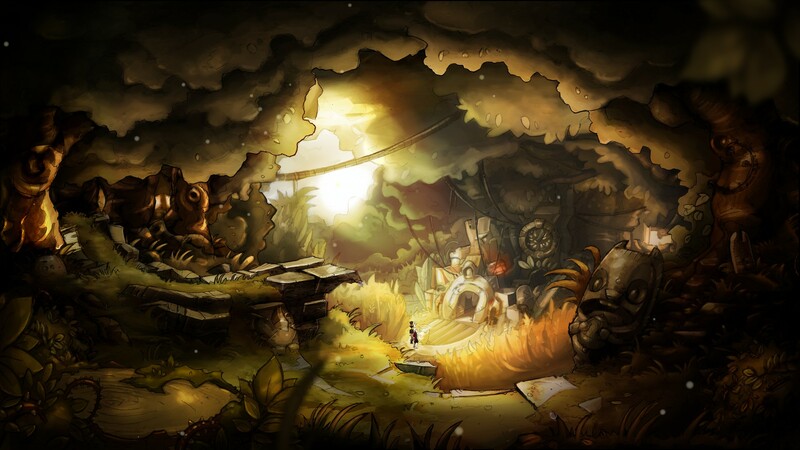 The coin puts twinkly highlights over all parts of the level which are interactive. This saves you a tremendous amount of pixel-by-pixel pointer sweeping, and overall makes the game a lot less frustrating than many adventure games. In terms of the general interface, there were some good things and some bad. Everything in the environment is context sensitive, so rather than selecting “talk”, “pick up”, “operate”, etc from a menu, you can do pretty much only one thing with each object in the world. 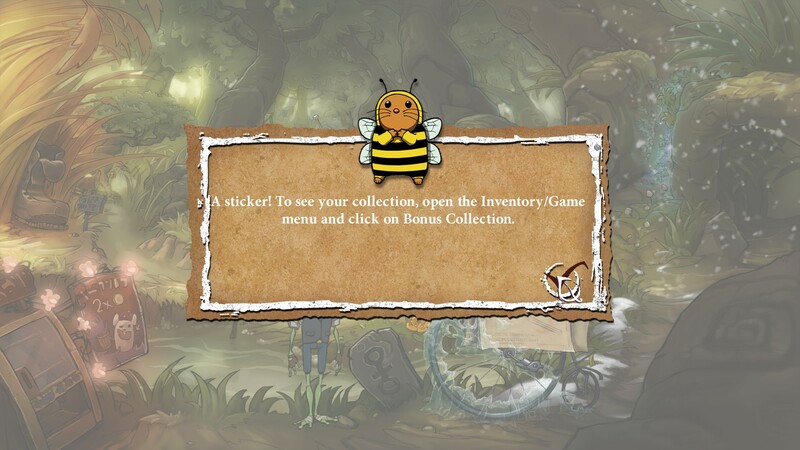 In your inventory, things get a little more complicated, as you can pick up or look at individual items. Since inventory interaction happens so frequently in the game, you can access it by rolling the mouse wheel down, which was handy. And usually I was fine with the fact that moving the mouse out of the inventory window automatically closed it. Sometimes, though, it was a pain. When was it most painful? During the tutorial section, of all places. I kept accidentally closing the inventory while they were trying to teach me this or that, and likewise during the actual playing of the game I closed the inventory more than once because I overshot the “spell” section of the inventory. The Night of the Rabbit heaps a fair amount of value into the game. 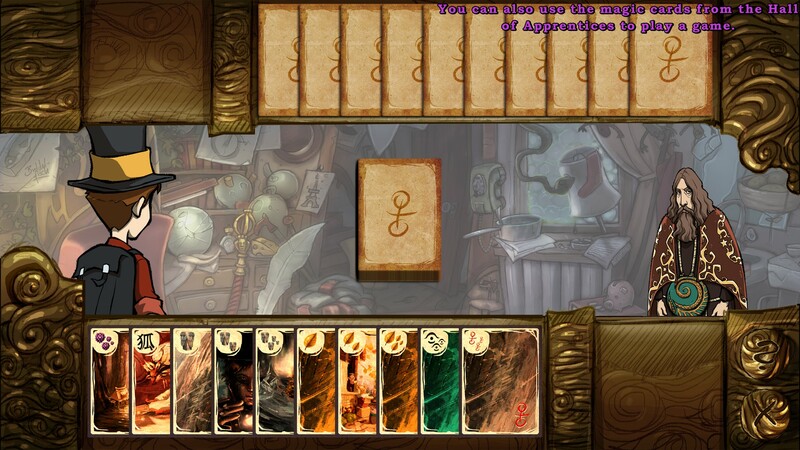 Aside from combining and applying items in your inventory, the game slowly teaches you spells. The first is used for “advice”, though outside of the handful of plot-relevant applications I got little use out of it. The second, which gives you the seemingly useless ability to speak to “any rock that has been given a face”, was excellent thanks to the enormous number of statues in the game. A fun little game within a game. In order to reward the people who sweep and click rather than relying entirely on the magic coin to identify hotspots, there are dewdrops and stickers for you to collect, each of which unlock bonus content. Dedicated searchers will even unlock audio books to listen to, and cards for use in a mini-game called “Quartets” which was actually really fun. 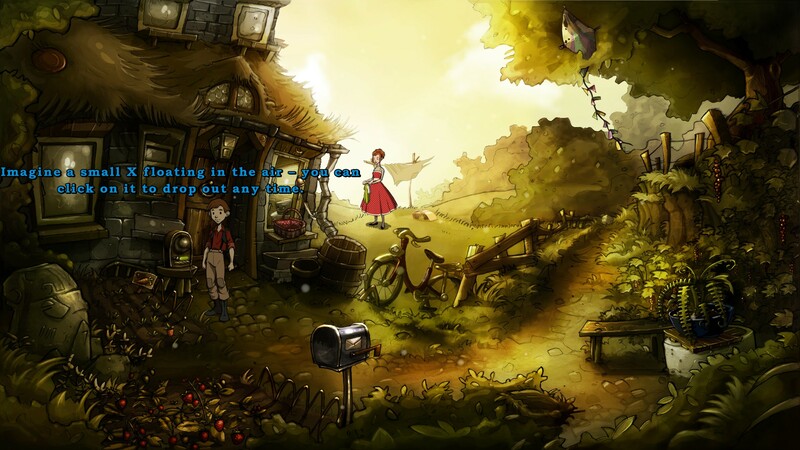 I’ve been avoiding one of the key aspects of an adventure game though: the puzzles. How were they? Well… For the most part they were pretty good, but some of them were downright frustrating. 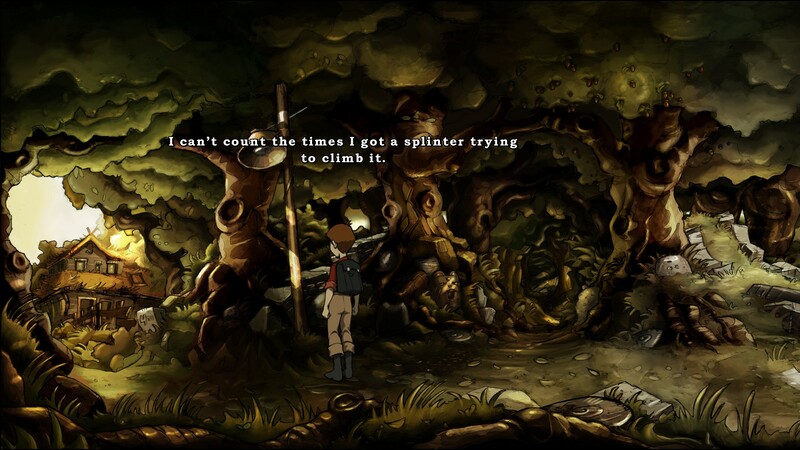 I suppose such is the case in any good adventure game, but now and then I really felt like I was getting the run around. Capturing “The Green Hat” for example, required literally cycling through the locations he most frequently menaced until he was forced to activate traps you had set. Figuring out how to set a trap, and then being wrong about it, meant you had to chase him through a whole other cycle. The hint system was more of a “let you know what your current objective was” system, and that’s problematic when the in game hints are sometimes as subtle as what precise word is being used to describe a problem. The word “hopeless” is one to watch out for, for example. Like the visuals, the sound was extremely well done. The music is rich, and though it doesn’t seem to use a real orchestra, it does a good job of fitting the same basic melodies to a diverse series of settings and moods. 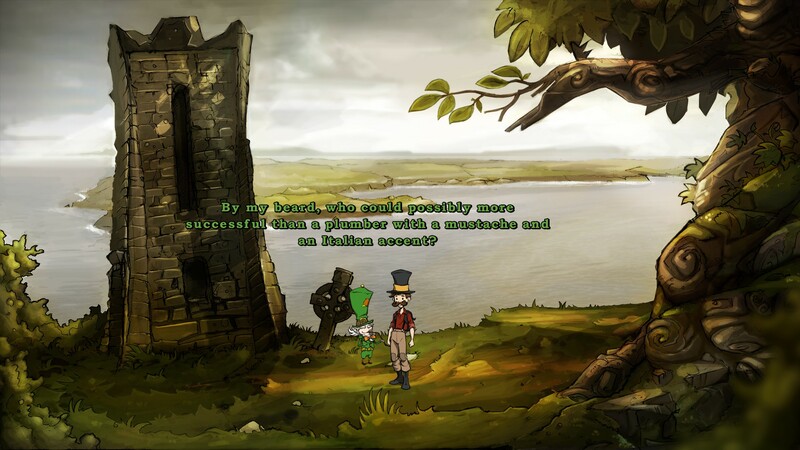 The voice work is top notch (unless you don’t like British accents), and there was no evidence of the all-too-frequent problem in adventure games where it sounds like a given character is voiced by whatever staffer happened to be walking by the sound booth at the time. Wait a minute... One, two... that fox has entirely too many tails. I detect trickery. The story in The Night of the Rabbit is very strong, stronger than it seems. 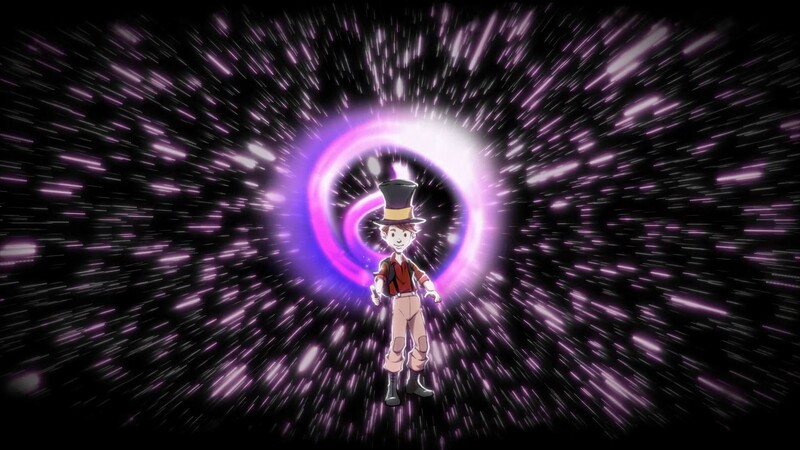 You play as Jeremiah Hazelnut, a young aspiring magician who receives a mystic envelope with a curious poem in it. 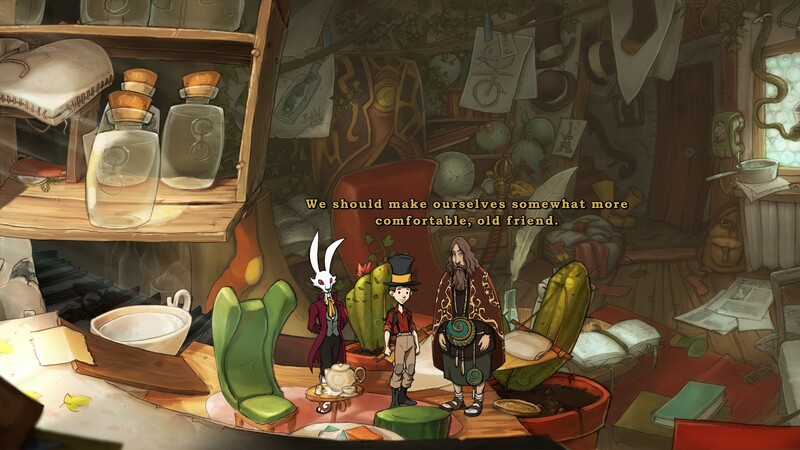 When you succeed in unlocking its secret, you meet an anthropomorphic rabbit known as The Marquis De Moto, who takes you on as his apprentice and opens the door to another world. 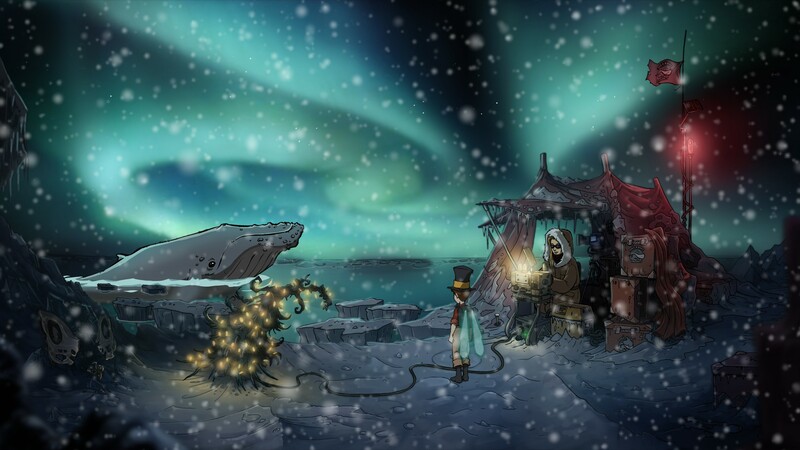 In the beginning I felt that the atmosphere was perhaps a bit too wholesome and geared toward delighting children for my tastes, but in the late game events start to happen that really expand the setting and storyline, and darken things up a bit. Eventually you hit the big reveal that not only adds a tremendous amount of depth to the story, it reveals so many dangling threads the whole game starts to seem like a prelude to something bigger. More than one thing that seems like foreshadowing for a future quest turns out to be what might be foreshadowing for a whole new game, or might simply be red herrings. There are times when something as subtle as the sound of unseen glass breaking can have tremendous meaning. I finished the game with more than a few unanswered questions and the overall desire to dig deeper. I had a hard time coming up with a proper score for this game. 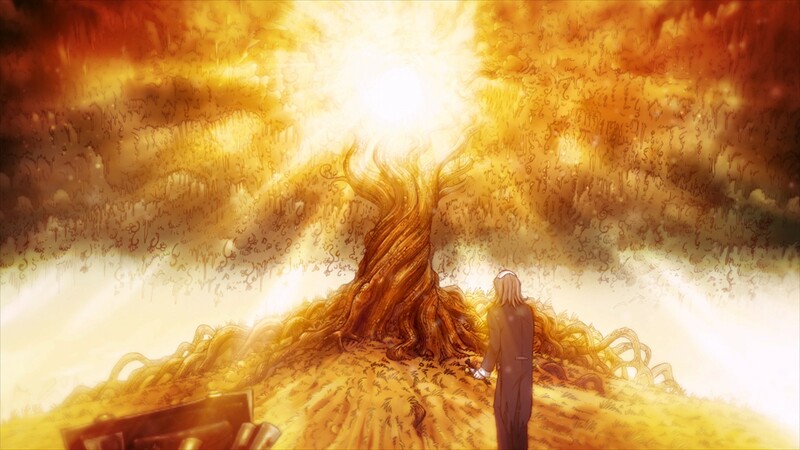 Some elements, like the story and art, are spectacular. Others, certain gameplay mechanics and puzzle choices, bugged the heck out of me. I genuinely felt as though a better engine and perhaps a more substantial help system could have taken this from being a promising game to a masterpiece. 7.9 / 10: The Night of the Rabbit is visually spectacular and exceedingly well-written, but it suffers a bit from a sometimes awkward interface. I’m having a hard time taking a wizard seriously when he wears socks with sandals. Wait a minute… One, two… that fox has entirely too many tails. I detect trickery.